Jigsaw has chained the man who diagnosed his cancer, Dr. Lawrence Gordon, in a dilapidated industrial washroom with Adam Stanheight, a photographer who has been tailing the doctor due to a former police detective's suspicions that Gordon is Jigsaw. Lawrence has instructions to kill Adam by six o'clock, or else his wife and daughter will be killed. Flashbacks show detectives David Tapp and Steven Sing, who suspect Lawrence of being Jigsaw, following a trail of clues from other Jigsaw traps. Sing's death from a shotgun trap after saving a victim named Jeff causes Tapp to obsess over catching Jigsaw. Later on, he chases Zep Hindle, who monitors Adam and Lawrence's tests, and gets shot in the chest. Eventually, Lawrence saws his own foot off in order to escape, leaving Adam in the bathroom while Lawrence goes to try to save his family and get help for Adam. It is later seen in Saw 3D that Dr. Gordon found a steaming hot pipe and cauterized his wound, stopping the bleeding and ultimately surviving the trap. John catches up with Gordon and makes him his next apprentice, a fact which he hides from his other accomplices. Flashbacks from Saw III show that Amanda kidnapped Adam and later returned to suffocate him as an act of "mercy killing". Saw II begins with the police tracking a severely weakened Jigsaw to his lair. However, another test is in place, as he and Amanda have kidnapped the son of Detective Eric Matthews and trapped him and a group of seven convicts, previously framed by Matthews, in a house that is slowly being filled with sarin gas, with Amanda Young among them. He will trade Daniel Matthews' life for Detective Matthews' time, conversing with him until the game is concluded. Matthews loses his patience and assaults Jigsaw, forcing him to take him to the house, only to discover that the video feed from inside the house had been pre-recorded, the events actually taking place much earlier; Matthews' son was locked in a safe in Jigsaw's warehouse, being kept alive with an oxygen tank. 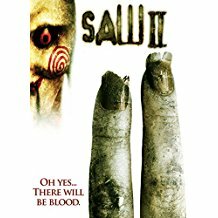 Matthews is knocked unconscious by a masked figure and wakes up imprisoned in the bathroom from Saw, which is part of the foundation of the house. Amanda reveals herself to Eric as Jigsaw's protégée before leaving him to die. 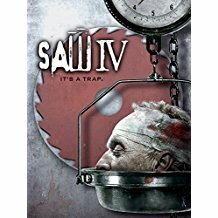 Saw III begins with Jigsaw, weakened and near death, confined to a makeshift hospital bed. Amanda has taken over his work, designing traps of her own; however, these traps are inescapable, as Amanda is convinced that Jigsaw's traps have no effect and that people don't change. A kidnapped doctor is forced to keep Jigsaw alive while another test is performed on Jeff, a man obsessed with vengeance against the drunk driver who killed his son. Jigsaw, unwilling to allow a murderer to continue his legacy, designs a test for Amanda as well; she ultimately fails, and it results in the deaths of both Jigsaw and Amanda. Saw IV revolves around tests meant for Officer Daniel Rigg, which are overseen by Hoffman. Rigg fails his test, resulting in the death of Eric Matthews. Rigg is left to bleed to death by Hoffman, who later discovers the bodies of Jigsaw and Amanda. When an autopsy is performed on Jigsaw, a cassette tape coated in wax is found in his stomach; the tape informs Hoffman that he is wrong to think that it is all over just because Jigsaw is dead, and he should not expect to go untested.